While I haven’t really given much thought to which holiday I like next best after Christmas, I’d have to say it is probably Easter. I don’t know if its the addicting mini-eggs talking (seriously, what is in those things?!) 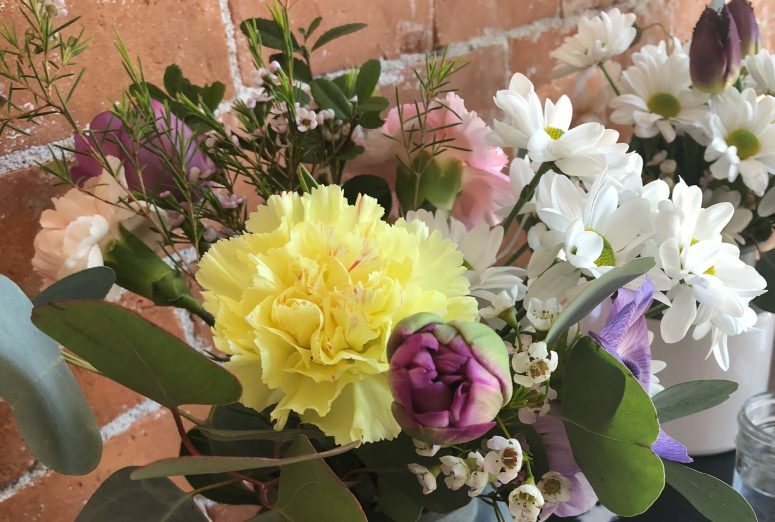 or the fact that signs of spring are popping up all around, or maybe it’s because baskets are just a spring version of Christmas stockings, am I right? I love putting together sweet little baskets for the kids! I mix in a few quality toys, like the wooden play camera from Smiling Tree Toys or Calico critters bunny family, (which I know the girls will love for their dollhouse! 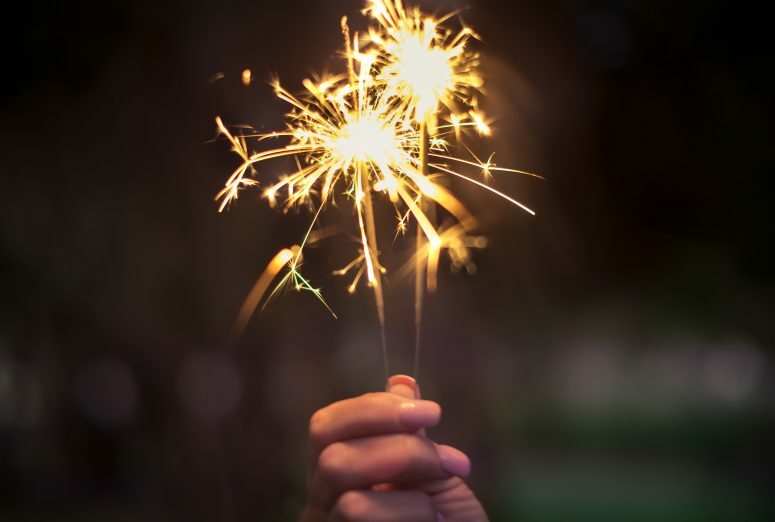 ), along with things we will always use, like bows, bubbles, bath bombs, and sidewalk chalk! The girls always get a holiday book– after Easter we put these books away until the following year and it’s fun to have a special holiday book collection to bring out each year. Spring accessories– usually socks and hair clips– are always a win too. 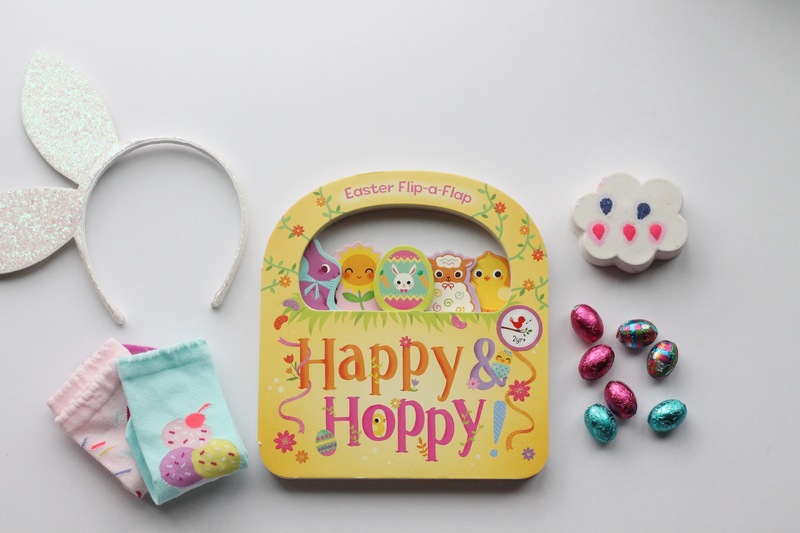 And of course we can’t forget a few little treats, we love these pretty little chocolate eggs and Annie’s organic fruit snacks and how cute are those vintage little tins for stuffing with treats? 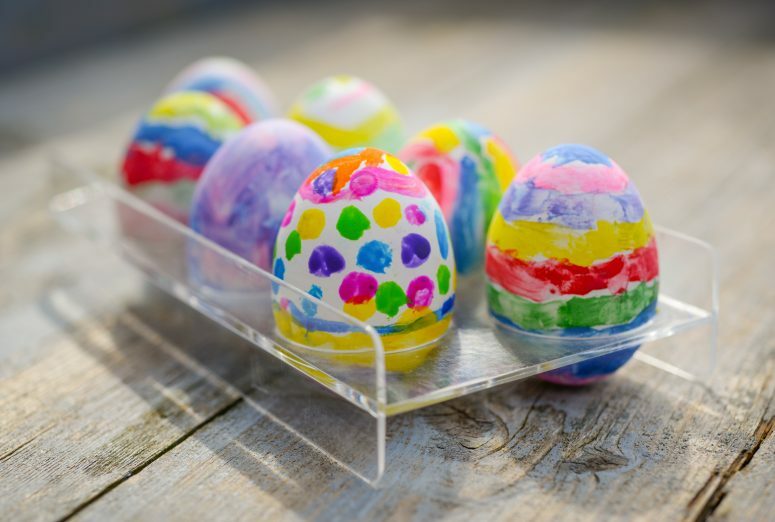 Scroll on for some Easter basket inspiration, and be sure to check out last year’s baskets for some toddler ideas! Such a fun spin on the Easer basket! My mom always put a non-candy treat in my basket and that’s what I always looked forward to! How cute! 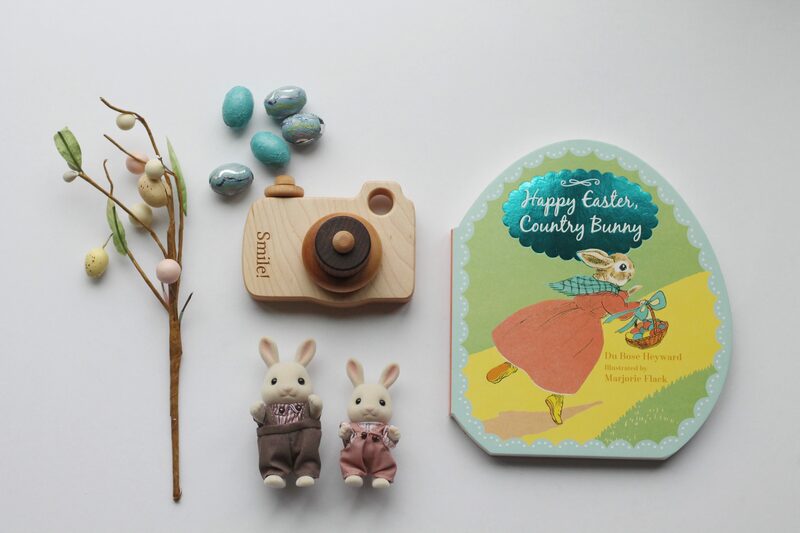 Love those little bunnies and the wooden camera! Fun picks for the Easter basket!! Thanks Julie! I love how sweet they turned out. My girls will love those cameras and bunnies so much! Such cute ideas!!! 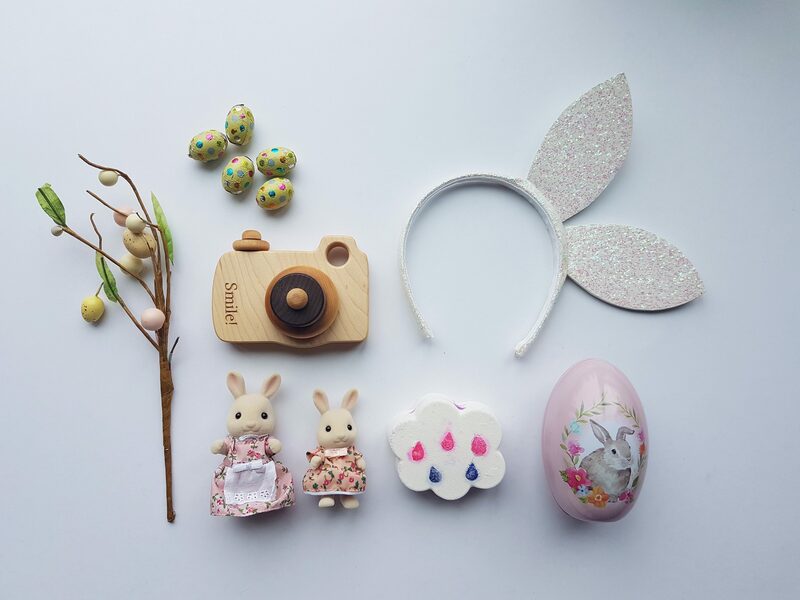 I love those bunny ears and the wooden camera! So fun! Thanks Emily! Here’s hoping the girls love to wear those ears, I think they are just so cute! These are such fun gifts. I need to start getting the boys Easter baskets together. Thanks for sharing. Thanks Shelley! I hope you find some things they will love! What adorable ideas! We do the fruit snacks, too! Those fruit snacks are the best, aren’t they?! Perfect treat that isn’t too much sugar! I love that you include books! That was always my favorite thing to get in my Easter basket as a kid. Books are my favourite too! It’s so nice changing up the book shelf with our growing Easter collection each year! So many adorable ideas, that camera is so cute! 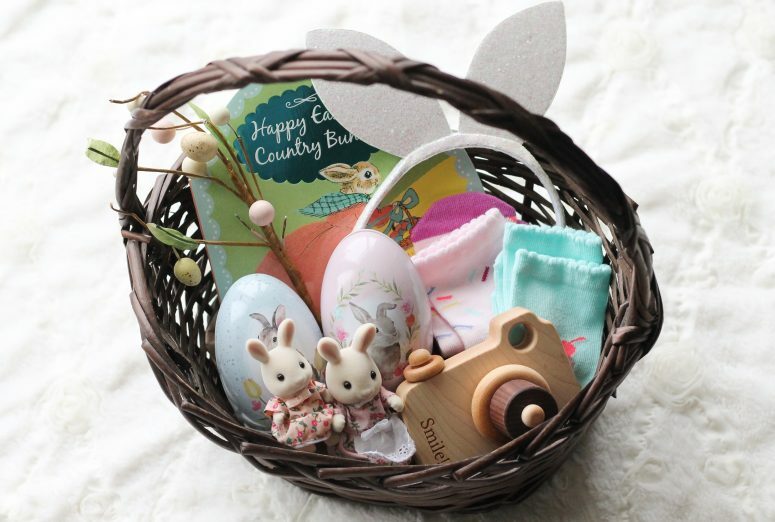 This is such a sweet little basket! Love the little wooden toys! Thank you Mariah! Me too! I can’t wait to see my girls’ excitement over these! This is so sweet! I am going to use some of your ideas for sure. 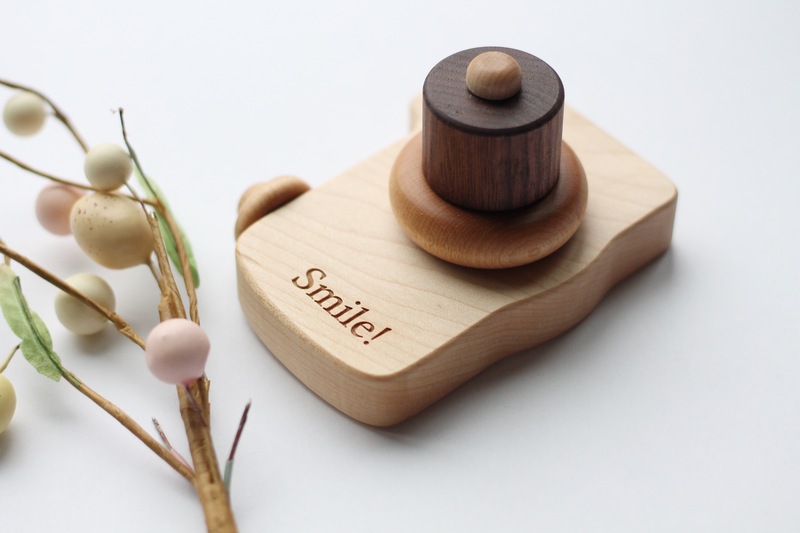 That wooden toy camera is too cute! I always get my kids a book for their Easter basket to help add to their libraries. Books make the best gift, don’t they? I love the camera too! Can’t wait! What a cute basket! I love the fact that it isn’t filled with candy and things your girls will not play with anyway. Thanks Ayanna, that’s the goal! Holidays and candy just gets to be WAY too much sugar for two and four year olds so we try our best to avoid it! That’s great to hear Carly, my daughters haven’t had the Calico Critters yet but I’m excited for them! Sounds like a great basket, I WISH we still had target in Canada for that very reason! My toddler would love this basket. Oddly enough, she would forgo the little candy eggs if she could have little egg shaped rocks. She is obsessed with rocks! That’s so cute Amanda! My girls also love collecting rocks too! What a cute idea! I love the wooden camera. I’m not a fan of plastic toys and I really appreciate traditional toys made of materials like wood or rag dolls. Agreed Cristina! A few quality toys are so great! Love the inspiration! We also do books! I’m thinking hatchimals instead of candy so let’s see how it goes!